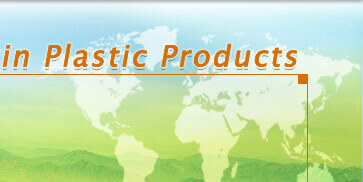 LIANYUNGANG KAIXIN PLASTIC PRODUCTS CO.,LTD(Former Linyi Kaixin Plastic Products Co.,LTD). is located in Guanyun Economic Development Zone, Lianyungang city, Jiangsu Province, China . It is a professional manufacturer of plastic products, our main products are raschel bags. Our company was approved for self-support export in March ,2005 .before this time, our products was exported by agents. We are hope to establish a direct business relation with foreign clients. On the principle that “ quality is the lives of enterprises ” . We are dedicated to the supply of good quality and competitively priced products, backed by our friendly and efficient service. We have export many plastic products to the following countries: Russia , East Europe, South Africa , South America , South Korea ,. and our products have enjoyed a high reputation from our clients. Following years of effort, our company has grown into the promising center in this industry in north of China . Focusing on rapid development, we also pay attention to the training and culture of employees in our company. Recruiting and training honest, excellent, long-term , efficient employees. We are working hard to enhance our company including managers and factory employees. If you are interested in our products please do not hesitate to contact us, if there is any need, you are welcome to mail or the telephone for an inquiry. We hope to reach the best cooperation with you.